Bill Meyers is a principal in the Litigation Group. Throughout his career, Mr. Meyers has handled a variety of complex commercial litigation matters. For instance, Mr. Meyers has extensive experience in bankruptcy and insolvency litigation in courts nationwide. Mr. Meyers regularly protects the rights of secured creditors in these proceedings, including litigating cash collateral/adequate protection disputes, plan confirmation issues, claims objections, valuation disputes, relief from stay motions, and receivership actions. Representative matters include serving as primary litigation counsel to the Official Committee of Equity Security Holders in the bankruptcy of Kmart Corp.; representing Settlement Class Counsel for a class of more than 1300 insurance companies suing AIG for RICO, common law fraud, and breach of contract, and obtaining over strenuous objections, a $450 million class action settlement; and serving as lead counsel defending 10 class action lawsuits consolidated in an MDL in federal district court in Miami, FL. Mr. Meyers regularly serves as counsel to the Commercial Finance Association and filed an amicus curiae brief on its behalf in the Tousa bankruptcy pending in Florida. Mr. Meyers also spoke about the implications of the 11th Circuit's ruling in Tousa at the American Bar Association's Annual Meeting in Chicago. 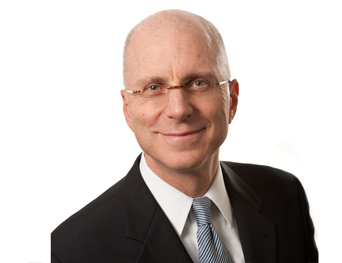 Mr. Meyers has also litigated a number of intellectual property disputes, including numerous trademark infringement cases, domain name cyber-squatting disputes, and breach of contract actions relating to intellectual property license/franchise agreements, including, most recently, the successful prosecution of a trademark infringement matter on behalf of Guinness World Records in United States District Court for the Southern District of New York. Mr. Meyers speaks extensively on electronic discovery issues and the use of predictive coding. He has spoken several times at the Chicago Law Bulletin's Annual Electronic Discovery Conference. He has also spoken at the American Bankruptcy Institute Winter Leadership Meeting regarding electronic discovery issues in the context of bankruptcy litigation and the impact of Federal Rule of Evidence 502. Most recently, he led a panel discussion TAR Predictive Coding at the Tax Payers Against Fraud's annual meeting. Mr. Meyers also has significant experience representing plaintiffs in qui tam whistleblower cases under the federal and state False Claims Acts. Mr. Meyers is an instructor for the National Institute for Trial Advocacy (Deposition Skills). Mr. Meyers is a member of the Board of Directors of the Public Interest Law Initiative (PILI). He is also a Classroom Team Member as part of the Constitutional Rights Foundation Lawyers in the Classroom program. The United States District Court for the Northern District of Illinois, in conjunction with the Chicago Chapter of the Federal Bar Association, recognized Meyers for his exceptional pro bono work at the Nineteenth Annual Excellence in Pro Bono and Public Interest Service Award Ceremony. He was presented with the Award for Excellence in Pro Bono Service by the Hon. Ruben Castillo, for his outstanding work on behalf of Robert Goldsmith in Goldsmith v. Caceres et al., Case No. 14 C 3560, a client Bill was appointed to represent by the Hon. Matthew Kennelly. Mr. Meyers is admitted to practice in the Illinois Supreme Court; the U.S. District Court for the Northern District of Illinois; and the Seventh Circuit Court of Appeals and other federal courts around the country. He received his law degree from the University of Michigan and his B.A., with honors, from Michigan State University.